The University of Florida Quality Assurance Committee has developed guidelines for online courses. These provide a framework for development, self-review and peer review of online courses. These standards are regularly updated to reflect changes and improvements in online education. In 2018, the UF Standards and Markers of Excellence underwent a major transformation to become the UF+QM rubric. 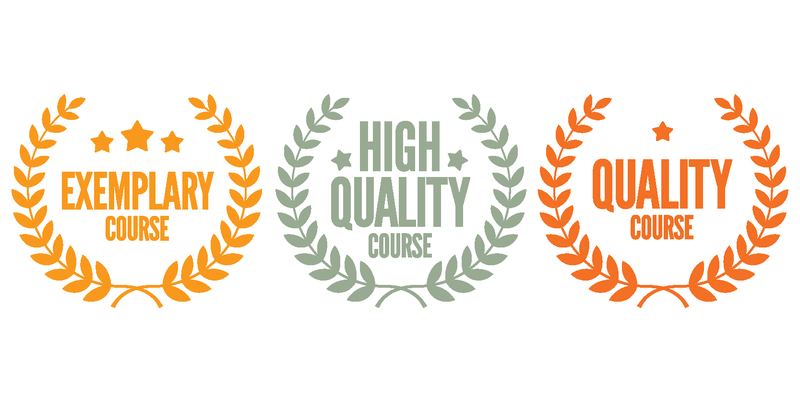 To earn a Quality Course designation, a course must receive an internal review and satisfy all 21 essential Quality Matters standards, which are each 3 points—to receive 63 QM points. In addition, UF’s Quality courses will be required to meet the UF essential standards (currently there are 9) to receive a minimum of 27 UF points. 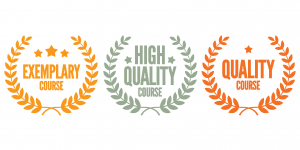 To earn a High-Quality Course designation, a course must meet all essential 3-point Quality Matters standards plus an overall point value of at least 84/99 points. In addition, UF’s High-Quality courses will be required to meet all of UF’s essential items and earn an overall point value of at least 42/50 points.